Anyway to this weeks photograph. Aber Falls (Rhaeadr Fawr in Welsh) is a waterfall located about two miles (3 km) south of the village of Abergwyngregyn, Gwynedd, Wales. 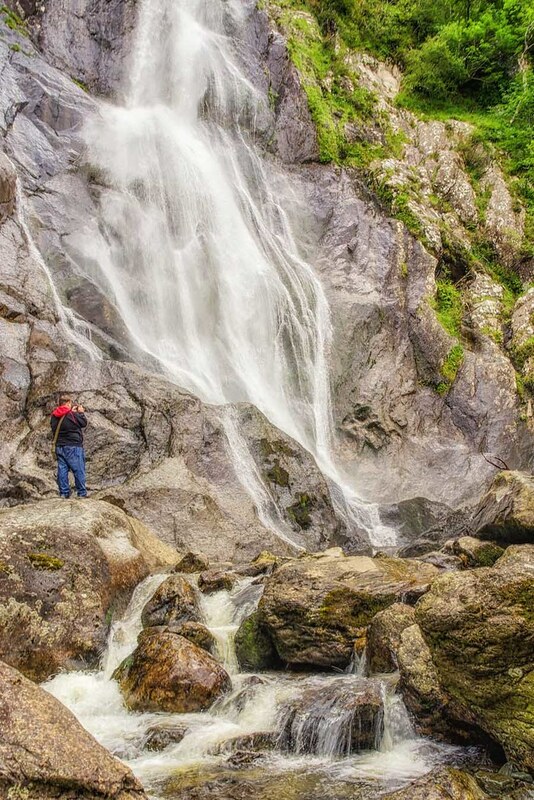 The waterfall is formed as the Afon Goch plunges about 120 feet (37 m) over a sill of igneous rock in the foothills of the Carneddau range. Two tributaries merge; the enlarged stream is known as Afon Rhaeadr Fawr; from the road bridge, Bont Newydd, the name becomes Afon Aber. As usual I am indebted to Zemanta for finding other WordPress Bloggers who are writing about this weeks Photo Challenge. If you’re not using Zemanta, why not? I love your varied selections of “BIG”. The waterfall is amazing. Thanks for the pingback. I really enjoy waterfalls! This photo is stunning. The soft flow of the water over the the surface of the rock is so beautiful. I like the contrast of color presented by the small person in the photo against the big waterfall. Very nice! Spectacular waterfall. I’m a BIG Douglas Adams fan. Haha! Now why didn’t I think of that? I have a shot of DH standing in roughly the same place. It’s filed safely somewhere in the depths of SmugMug. Great shot. Thanks for sharing. Reblogged this on Simply Stunning Images. Great post and perspective! The waterfall looks almost like spun sugar – just beautiful!